Summer is quickly approaching. Before you know it, the streets of New York will be steamy and girls will be walking around in their favorite maxi dresses and guys will be sipping martinis at outdoor, after work bars. Do you have the right fragrance to go with this heat? CLEAN, the lifestyle brand renowned for it’s simple, fresh approach to beauty, is launching two new fragrances just in time for summer. The limited edition CLEAN Summer Escape Eau de Parfum will transport you right to the frothy shores of your favorite beach. With delicate notes of Mandarin orange, beach honeysuckle, white sand accord and coconut water, Summer Escape will have you longing for the crisp summer air and naps on the beach. Whether you’re pulling on a new t-shirt after returning from a day at the beach or stealing a clean tee from your boyfriend, there is nothing quite like the crisp, clean smell of a freshly laundered cotton t-shirt. 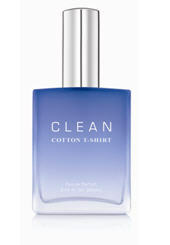 CLEAN has captured the appeal of this iconic wardrobe staple by announcing the launch of CLEAN Cotton T-shirt Eau de Parfume. Bergamot fresh laundry accord combined with cotton flower, dewy freesia and sheer amber mix together to offer the crisp, clean familiarity of a freshly laundered t-shirt. 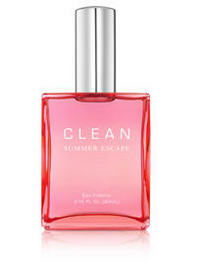 Both CLEAN Summer Escape Eau de Parfume and CLEAN Cotton T-shirt Eau de Parfume available April 2011 at Sephora, Ulta and on www.clean.com.